Jan. 11, 2019, © Leeham News: Airbus trailed Boeing in net orders in 2018 but it still holds a commanding lead in backlog market share. With the companies reporting their year-end tallies, Airbus has a 56% share of the backlog to Boeing’s 44%. Airbus carries the day with narrowbody backlog. Its share is 58% to Boeing’s 42%. Boeing wins the widebody backlog, 53% to 47%, driven by a broader product line, including strong 777F and KC-46A/767-300ERF backlogs. When the emerging narrowbody airplane programs of China and Russia, and Embraer’s sole entry into the 100-150 seat sector (based on two-class seating), Boeing’s narrowbody share of the backlog drops from 42% to 40%. Charts are below. Data is based on firm orders only. 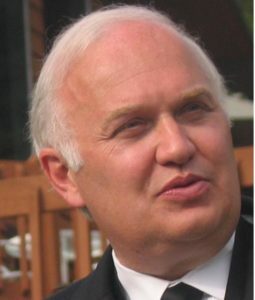 Jan. 4, 2019, © Leeham News: This is not the year where China’s COMAC will have break-out progress for the C919, its challenge to the Airbus A320 and Boeing 737. Flight testing is slow and entry into service (EIS) is now targeted for 2021—a slip of five years from the original schedule. The C919 launch-to-EIS is approaching the eight years record of the ARJ21. But these delays don’t mean COMAC isn’t making progress. Boeing’s JV with COMAC for a 737 completion center opened last month. Despite delays, the C919 progresses. Progress continues on the JV with Russia for the CR929. December 27, 2018, © Leeham News. : In July the CSeries changed from Bombardier to Airbus and in November the Q400 program was sold to Viking Air, the buyer of de Havilland Canada aircraft from Bombardier like the Twin Otter and the water bomber CL415. When the Viking Air deal closes in the second half of 2019, only the CRJ regional jet will make up Bombardier Commercial Aircraft. 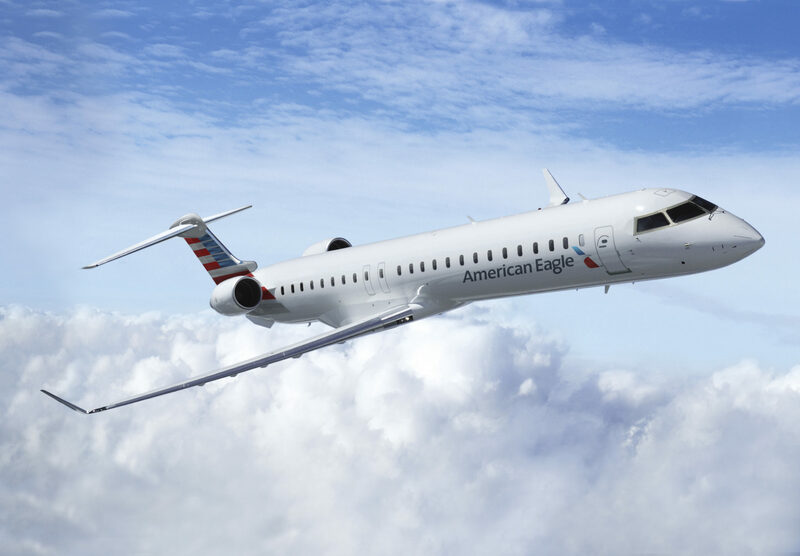 Will the CRJ stay with Bombardier or go? And if so, why? With other divisions increasing revenues amid healthy margins, the loss-making Commercial Aircraft’s time was up. It’s future hope, the CSeries, was digging an ever deeper cost hole with each delay. Only a market success could save it. The Boeing trade complaint in April 2017 made a success far-fetched, sealing the fate not only for the CSeries but for the Commercial Aircraft division. With the CSeries at Airbus and Q400 at Viking Air, why keep the CRJ? It makes no sense. The CRJ is presently dressed for sale. Now it’s more a question to whom and when. July 23, 2018: More than 1,000 new orders and commitments were announced at the Farnborough Air Show last week, a final tally shows. The value was more than $128bn. Credit Suisse issued its post-air show note today with a complete listing. Orders announced previously but were listed as Unidentified until the air show were not included. July 16, 2018, (c) Airfinance Journal: Day One of Farnborough 2018 belonged firmly to Boeing in terms of firm orders, although the US manufacturer saved up many of its largest announcements from deals done earlier in the year. Airbus, meanwhile, almost achieved parity if one includes softer commitments from airlines and lessors, although there were some speculative deals, notably a memorandum of understanding (MoU) for 17 A350s from Starlux, a Taiwanese start-up not yet in business. Other noteworthy deals included lessor Jackson Square Aviation’s first new aircraft order and United decision to buy E175s rather than the newer E2 variant. July 3, 2018, © Leeham News: Mitsubishi Aircraft Corp. executives insist the MRJ90 is past the seemingly endless delays that have dogged its development. It is on track toward type certification and first delivery in mid-2020. MRJ90 flight test vehicles at Mitsubishi’s Moses Lake (WA) flight testing facility. Source: Mitsubishi. The problem is when it arrives, the 81-seat MRJ90 will be the wrong fit for the US market. Program executives praised the plane’s advanced design during media briefings at the MRJ flight test center in Moses Lake (WA), but when they spoke about market opportunity, it was for the smaller MRJ70, which is at least three years away from entering service. Starting in 2022, Mitsubishi expects a wave of 50-seat regional jet retirements in the North American market. And North America—specifically the United States—”is the most important market for us to make this business successful,” said Yugo Fukuhara, Mitsubishi Aircraft vice president and general manager of sales and marketing. May 7, 2018, © Leeham News: Single aisle airliner production rates are on a track to hit 1,800 per year by 2022, a new analysis by LNC concludes. This is for aircraft of 100 seats or more. Therefore, this includes the Bombardier CS100 and its competitors the Embraer E190/195 E1/E2 at the smallest end of the 100-240-seat single-aisle markets. The dominating companies are, of course, Airbus and Boeing. Airbus plans to increase rates of its A320 family next year to 63/mo; Boeing is going to 57/mo for the 737. Both companies are studying increasing rates to 70/mo, a figure LNC believes can be sustained through at least 2025. Bombardier plans to go to rate 10 for its C Series, a figure that may have been difficult to achieve before BBD sold 50.01% of the program to Airbus. The deal is expected to close before the Farnborough Air Show. For purposes of this analysis, LNC assumes the deal goes through but for identification carves out C Series as a stand-alone airplane. COMAC and Irkut are included in the forecast. A320 backlogs extend through the next decade in a greater number than Boeing’s 737. 737 backlogs extend through the next decade, but many operators have yet to order the MAX to fully replace retiring 737 NGs. Airbus acquisition of control of C Series program gives it a boost. Embraer is a niche player in the small end of the market—for now. 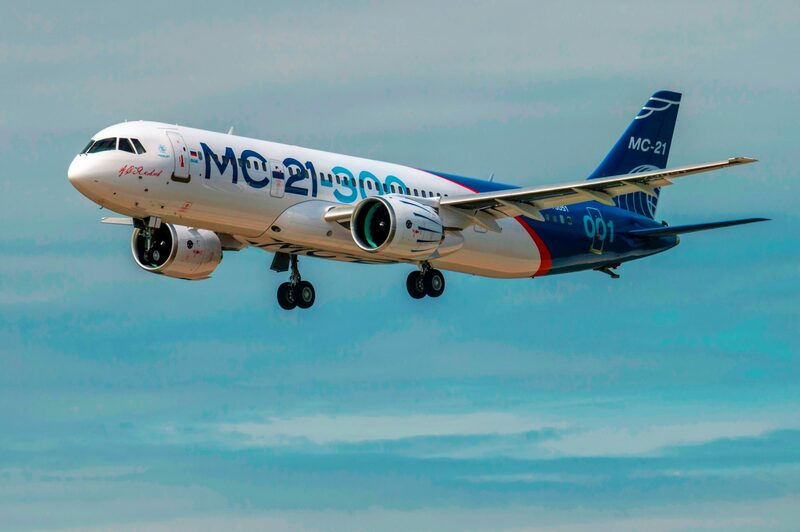 COMAC and Irkut present little near-term threat to Airbus and Boeing. March 27, 2018, © Leeham News, Bainbridge Island (WA): The unexpected US order to close the Russian Consulate in Seattle this week set off a media frenzy in this city because two reasons cited were the proximity of the consulate to Boeing and two US naval bases, Bremerton and Bangor. There is a third, smaller one, in Everett, but this wasn’t mentioned. Bremerton is a major repair-and-overhaul base for ships, ranging from aircraft carriers to submarines to frigates and support ships. Bangor is home to Trident nuclear missile subs and the spy sub, USS Jimmy Carter. I live on Bainbridge Island, a stone’s throw to Bangor (ground zero in a North Korean nuclear missile attack?) and a 45-minute drive to Bremerton. It’s 45 minutes from here to Boeing Field via ferry and car. Boeing, of course, is the principal home to Boeing Commercial Airplanes. The commercially-based P8 Poseidon and the KC-46A tankers are built here. 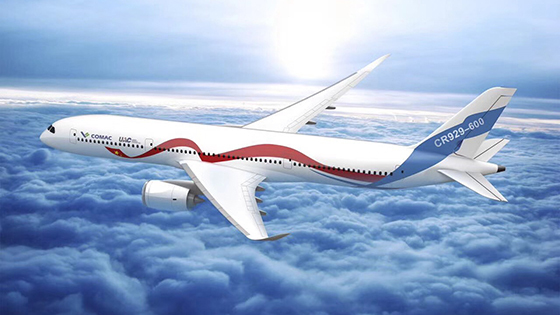 February 12, 2018, © Leeham Co.: In the fourth article about the Chinese/Russian wide-body, CR929, we analyzed the engine selection for the aircraft. Now we continue with a first performance analysis of the CR929 against its main competitors, the Boeing 787-9 and Airbus A330-900. We will use the preliminary data we have collected for the CR929 and compare this to the data for the 787-9 and A330-900. It’s the first analysis, on preliminary information. But there is enough knowledge of the key parameters to use our performance model to draw the first conclusions about the CR929’s positioning in the market. The CR929-600 is modeled closely after the 787-9. The technology for structures, systems, engines and aerodynamics are similar. With a similar payload capacity, the fuel consumption should be better as the CR929 is defined with a lower maximum range. It’s wider cabin eats up the weight and drag advantage, however. There will be little difference between the efficiency of the 787-9 and the 15 years younger CR929.